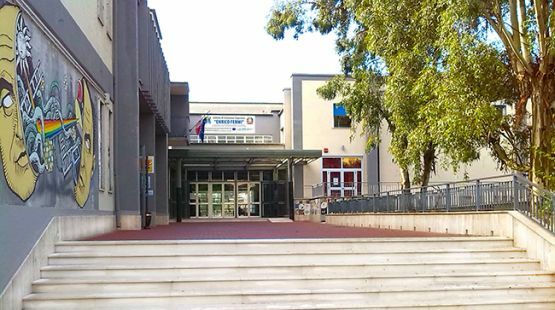 The Institute of Higher Education "Enrico Fermi" has its institutional center in Montesarchio, the largest municipality in the province of Benevento, in the Campania region, in south-central Italy. Montesarchio is a town of about 14,000 inhabitants, still the most vibrant center Caudina Valley, crossed by the state Appia, hub of many businesses and entrepreneurial. Montesarchio is a town three hundred meters above sea level, grouped around a hill dominated by the tower and the medieval castle. From school year 2010/2011, with the Reform of Secondary Schools, in our institution, are active the following fields of study: High School, High School Applied Sciences, School of Human Sciences, School of Human Sciences Economic-Social, Language High School. The teaching is carried out from Monday to Saturday, in time morning, from 8:10 to 13:15. The school, this academic year 2017-18, has n. 855 students and n. 86 teachers including 70 with permanent contracts. Our students are 13 to 18 years old. There is a percentage of 2% of foreign students, 1% of students with disabilities and 2% of pupils with special educational needs.